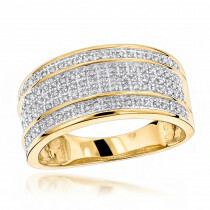 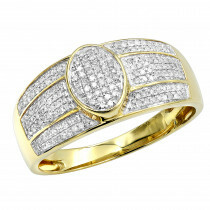 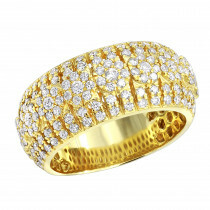 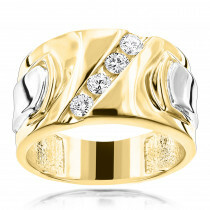 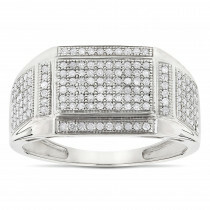 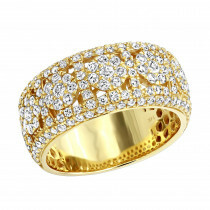 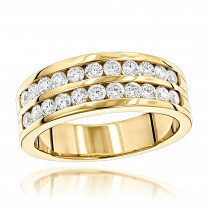 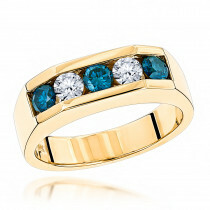 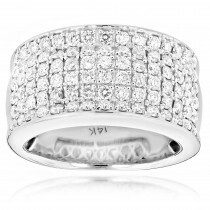 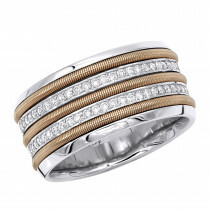 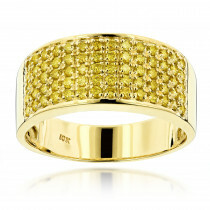 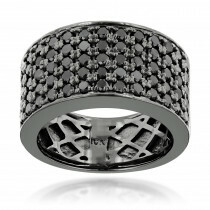 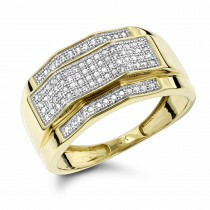 The diamonds really stand out against yellow gold in this ring. 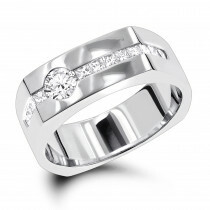 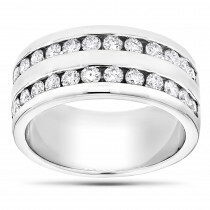 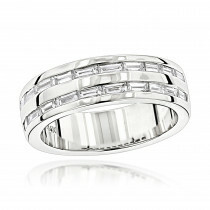 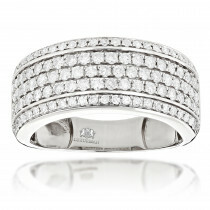 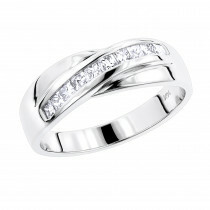 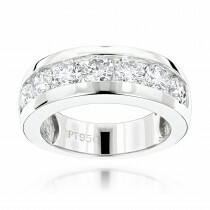 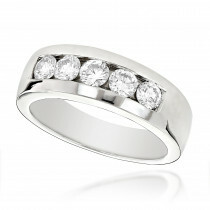 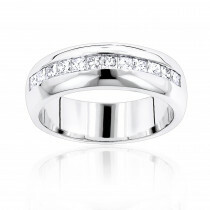 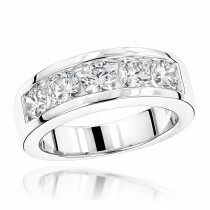 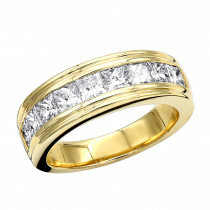 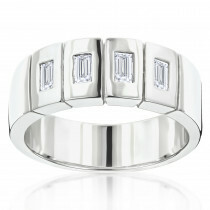 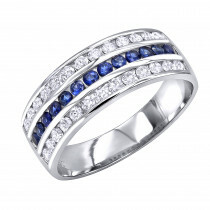 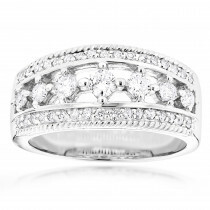 Very well made diamond wedding band and not an easy setting style. 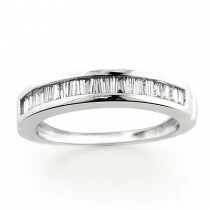 Accurately sized for a thick ring band.